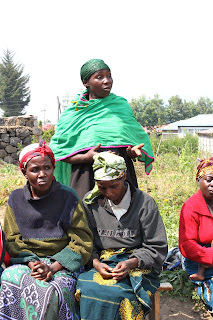 This is Emily, one of Spark’s summer interns, with some news about the adult project started over a year ago in Shingiro, a community in the Northern Province of Rwanda! The first of the two groups initially came together as a cooperative of HIV+ men and women called Iyiringiro, which means “hope”. They wanted to create a group that would allow them to work together to fight against the difficulties they face with having the disease. 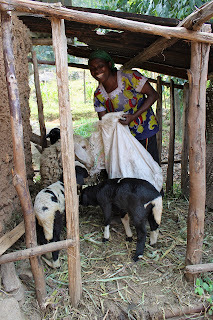 Iyiringiro Cooperative started the microgrant process one year ago, when they worked with Spark to implement a sheep-rearing project. They used their grant money to purchase 32 sheep, so that everyone in the group would have their own. We got an update on their progress after visiting during a community meeting on July 11th. The community has followed through with their initial plan to use the sheep manure as fertilizer to make the land they farm on much more productive. They also have sold some of the manure for money to overcome some of their most immediate needs, such as paying for their children to attend school and buying clothes, food, and soap. This adult group has demonstrated amazing strength to the rest of their community. Before coming together as a cooperative, the HIV+ members were looked down upon and seen as incapable of working. 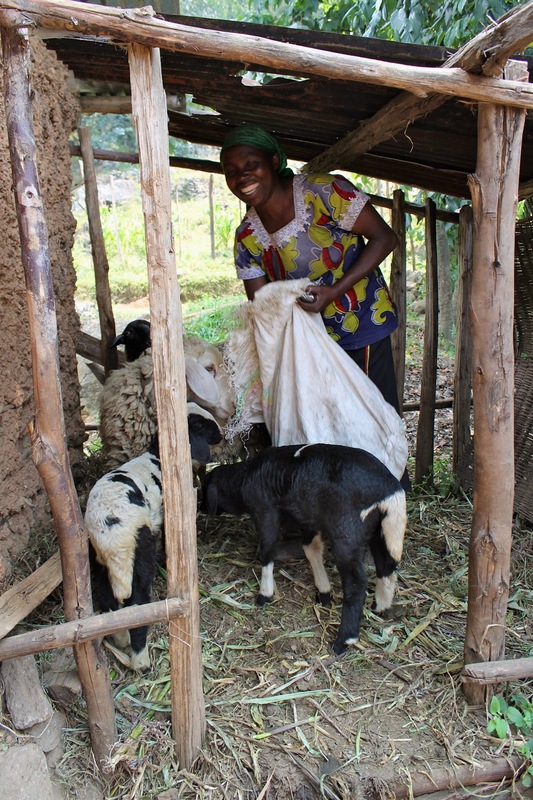 After implementing their sheep-rearing project, this group has demonstrated self-sufficiency to the Shingiro community and has decreased the stigma associated with the disease. Unfortunately the worst epidemic Spark has seen spread over 18 out of the 32 sheep and caused them to pass away. The group however, has made long-term plans to try to overcome this challenge. They have already rented land as a cooperative that they will fertilize with the remaining sheep manure. They plan to grow potatoes, both to eat and to sell in a local market. The group is particularly keen to grow food due to the level of food insecurity that threatens the cooperative. This is a major health issue because the antiretroviral medication that they take is very strong and causes a person to feel extremely weak if taken without adequate food. Most of the members of this group don’t have enough to eat or drink, so they either don’t take their pills or they become very fatigued and at times collapse. The group hopes that their future potato project plan will help them overcome their food insecurity in addition to their other immediate needs.